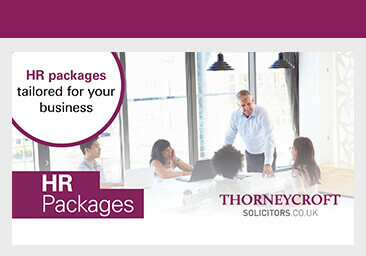 Thorneycroft’s specialist employment team has many years of experience advising both employers and employees on what are now called settlement agreements (previously called compromise agreements). A settlement agreement is a legally binding document made between the employer and the employee which settles, once and for all, any employment related disputes. An employee must seek independent legal advice for which the employer generally meets the associated legal costs. If it is necessary to negotiate the terms of the settlement agreement this can be done when the employee seeks independent legal advice. A common area of negotiation is when an employee seeks to obtain a reference from the employer. This can be incorporated into the terms of the settlement agreement. There may also be restrictions contained in a settlement agreement which prevent the employee from contacting customers or competing with the employer and these will need to be considered carefully. Both employers and employees may also need to consider the tax implications of a settlement agreement as it is possible that up to £30,000 may be paid without deduction of tax. If you are an employee or employer requiring legal advice regarding a settlement agreement, call us for a chat today. We provide a comprehensive service that ensures your legal rights are being met or protected.